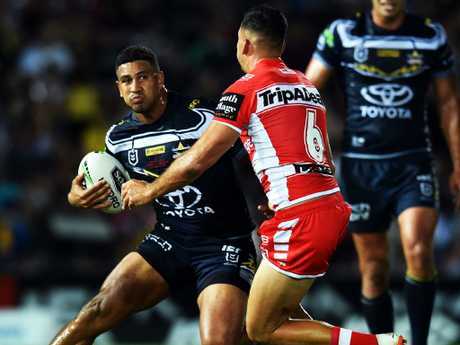 COWBOYS winger Nene Macdonald has vowed to improve his off-field discipline after a training mishap almost spoiled his North Queensland homecoming. MacDonald was threatened with the selection axe before he'd even played a game in Cowboys colours after he reported late to training ahead of their final trial against the Storm. The prized recruit was left out of the side as a result meaning he didn't get a chance to trial with his new club before he was sent back to play for the Northern Pride in the Queensland Cup the following weekend. Macdonald starred for the Pride which was enough to convince Cowboys coach Paul Green that he deserved another chance and he took his place on the right wing against the Dragons in last weekend's opening round. The bullocking winger repaid Green's faith as he fought his way past three defenders to score a crucial try just before halftime which helped inspire a 24-12 victory over his former club. Macdonald described his tardiness at training as an "honest mistake" but said he would continue to use the setback as motivation to cement his place in the game day line-up. "It's either you can learn from it or just keep worrying about. I just put it behind me and put my best foot forward and showed Greeny that I want to be here," he said. "It was just a mistake and I won't do it again. I had a game with the Pride there and I played as well as I could to get that chance to play in round one so I was pretty happy with that. "I think it was more just I need to fix little things outside of footy. I've been pretty good being on time. "I was more angry at myself that I missed training and missed that trial game against Melbourne, but that was on me and I'm glad I've learnt from that and pushed forward from it." 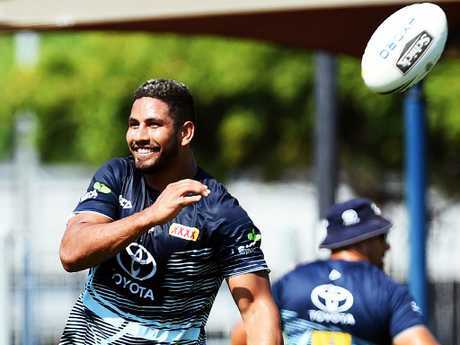 Macdonald said it was a surreal moment to pull on a Cowboys jersey having grown up in Cairns and he expected that feeling to kick up a notch in his first Queensland derby against the Broncos tonight. The former Kirwan High student said other clubs were envious of the rivalry the Cowboy and Broncos have built since their 2015 grand final clash and he was excited to finally experience it from the field. "I think everyone can say this from other clubs, they love watching this game and how tough it is," Macdonald said. "Over the past few years I've watched every game and it's always close and it's always an exciting game. It's one of the biggest round games. "Just watching from the outside you can tell. You get on that field, and especially if it's at Suncorp, it's going to be a big Broncos crowd there so we're going to have to soak it all in. "The boys get up for these tough games. It's pretty much a semi-final just with that atmosphere and what they bring to the table when it comes game time." 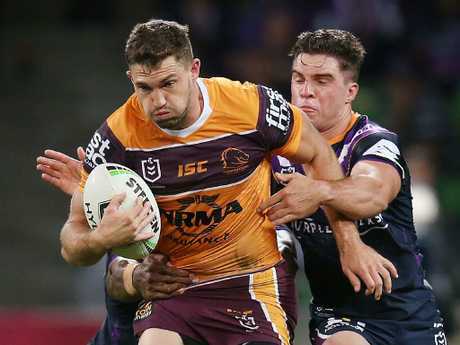 Macdonald will be tasked with marking prolific Broncos winger Corey Oates, who has scored 10 tries in his past five NRL games, but the Cowboys recruit was confident he could keep Oates in check. "Corey's a big boy and I'm pretty excited to go up against him. I went against him last year for the Dragons in the semis and we got up on them so hopefully I can do it again," Macdonald said.